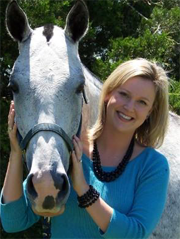 Dr. Blackburn was born and raised in Bryan-College Station, Texas and holds a bachelor's degree from Texas A&M University. She developed an interest in natural health care and preventative wellness after experiencing the benefits of chiropractic therapies first-hand. 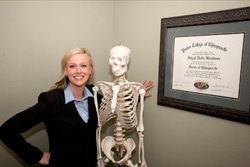 She graduated with honors from Parker College of Chiropractic in 2008, with an additional Bachelor's Degree in Health and Wellness and a Doctorate of Chiropractic. Currently, Dr. Blackburn is continuing her education by studying for her certification in Active Release Techniques and advanced certification in Applied Clinical Nutrition. From 2011-2016 Dr. Blackburn was nominated by Governor Perry to serve on the Statewide Health Coordinating Council of Texas. As a council member, Dr. Blackburn was part of the team that continues to help maintain and ensure health care services and facilities are available to all Texans. The council promotes health planning activities and makes recommendations to the governor as well as the legislature through the Texas State Health Plan. When Dr. Blackburn is not in the office she is an avid exercise enthusiast. She enjoys yoga, running, cycling, cross-training, and pilates. She is passionate about empowering patients with the tools to keep themselves healthy. Dr. Blackburn believes exercise and proper spinal biomechanics achieved through chiropractic care play a key role in longevity and wellness of the spine, the body, and the entire nervous system.